The flying eagle is the most popular of our indoor flagpole ornaments. The eagle is usually on American Flag sets. 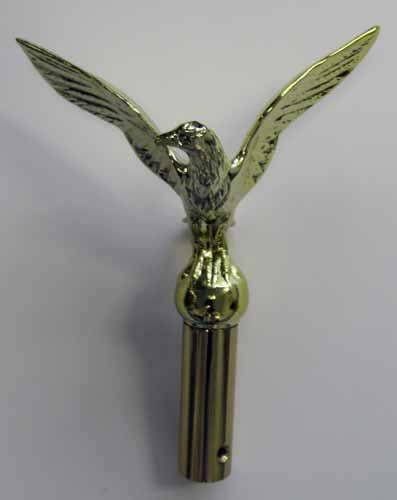 The 6.5" flying eagle is aluminum and features a polished gold finish. The ornament includes a straight ferrule.